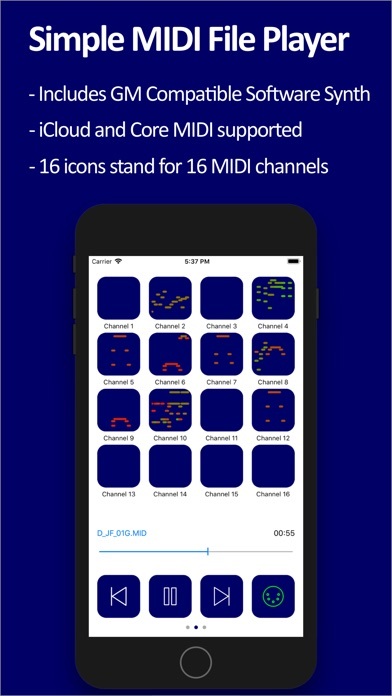 bismark m16 is MIDI player application that supports SMF (Standard MIDI File) for GM (General MIDI) specification. 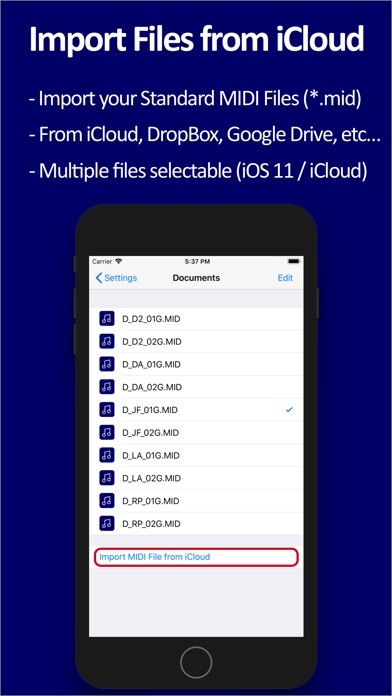 SMF files can be imported from iCloud directly. Also you can use "Open in" and iTunes's file sharing feature. 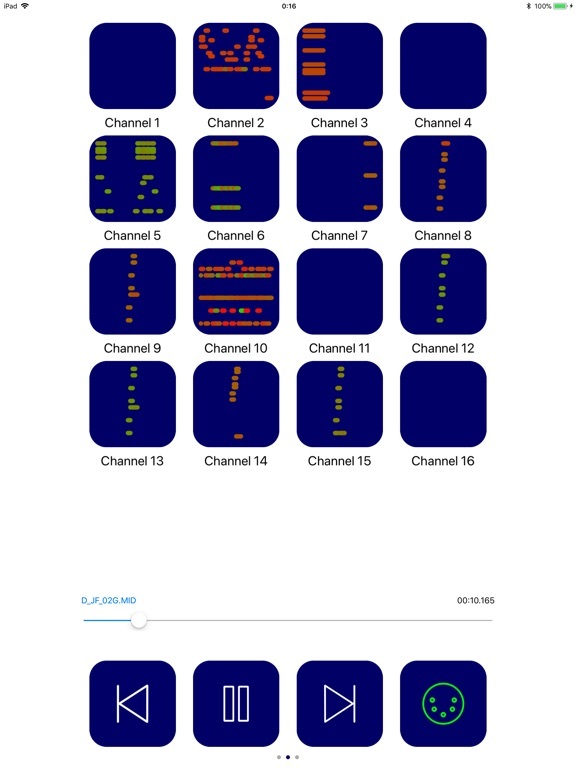 16 icons arranged in upper part of main screen show 16 MIDI channels. 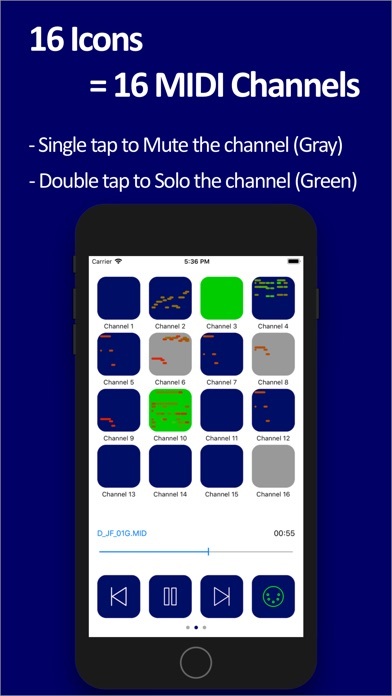 Each channel is changed to the mute or the solo mode by tapping icons once or twice. Moreover, during playback, performance information is displayed in the icon in piano roll / circle / MIDI analyzer mode. 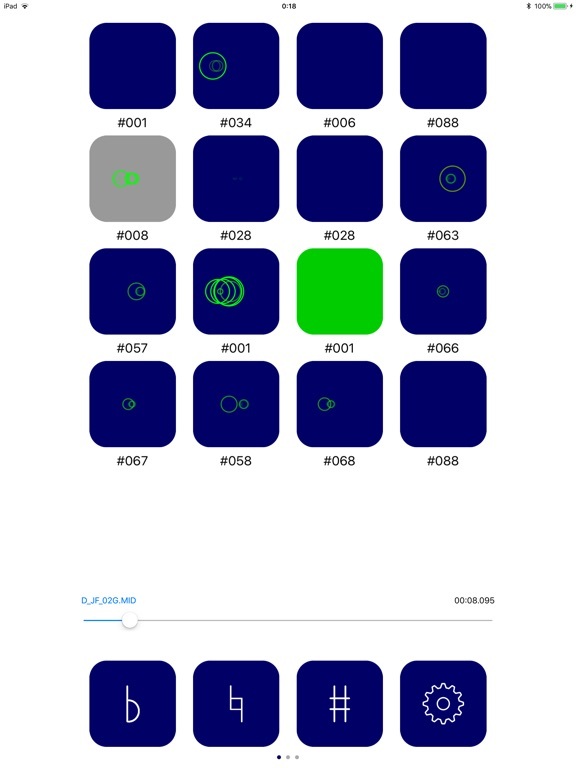 In lower side of screen, there is 12 buttons and 1 slider are displayed. 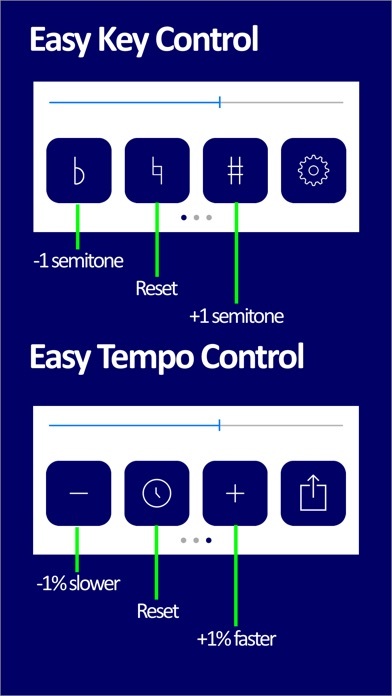 They works for start / stop playback, seeking song position, changing key and tempo. m16 supports background MIDI playback. 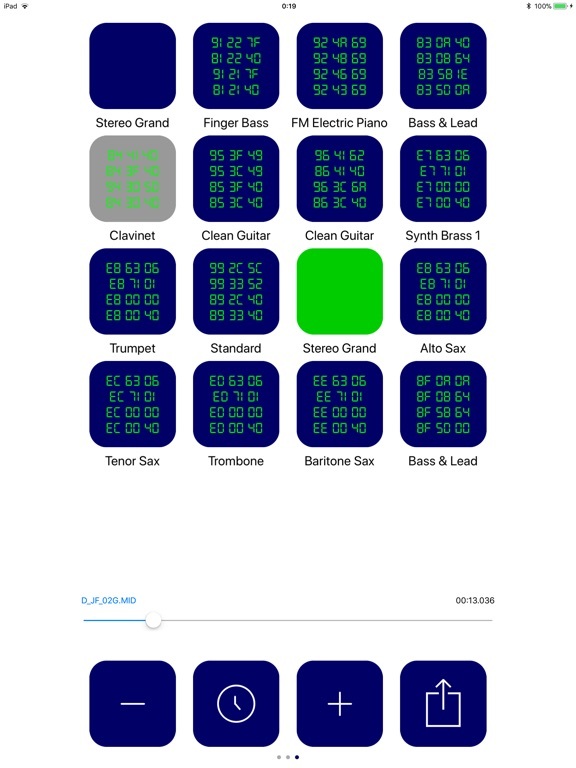 So you can play your favorite musical instrument app together with the background tracks produced by bismark m16 ! Also bismark m16 has CoreMIDI output, then it can play external MIDI modules using CoreMIDI compatible interfaces. 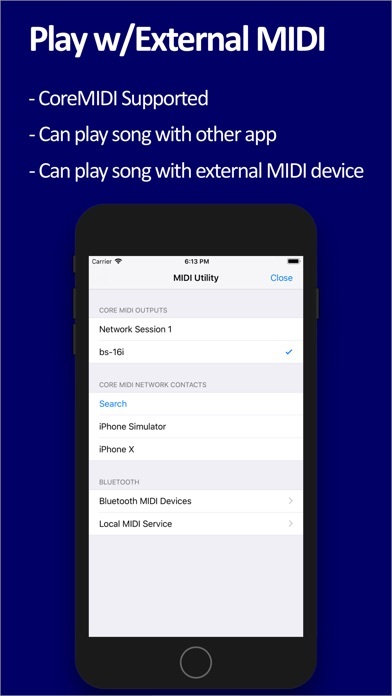 You can mix m16 sound output and other Virtual MIDI compatible applications in background. 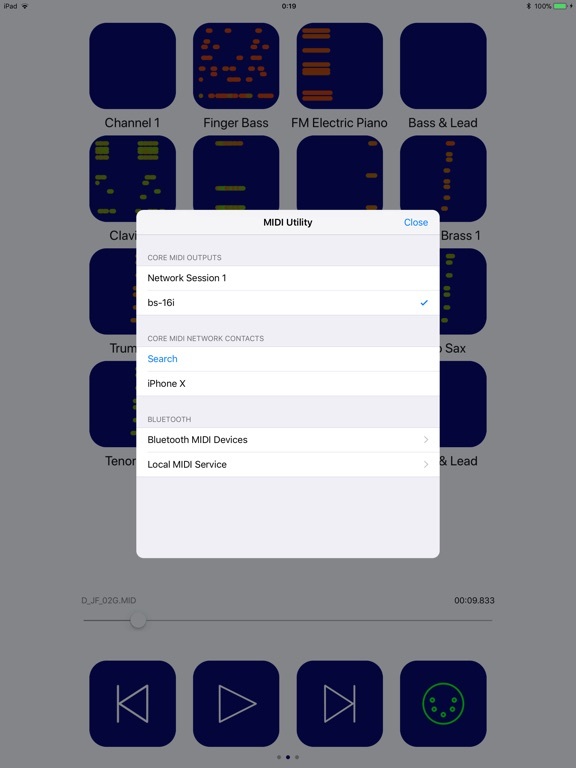 - On importing from iCloud, multiple files can be selected.